The first Pokémon game for Switch will be Let’s Go, Pikachu and Let’s Go, Eevee, Nintendo revealed on Tuesday. The games will feature Pokémon Go compatibility, cooperative multiplayer gameplay, and a new Poké Ball controller for Switch. Nintendo revealed the games during a press conference in Tokyo, alongside an announcement video showing off gameplay and footage of the one-handed controller. Designed by developer GAME FREAK, Let’s Go, Pikachu and Eevee appear to be a crossover of classic Pokémon RPG gameplay and that of the phenomenally popular 2016 mobile game, Pokémon Go. In it, you’ll use one Joy-Con controller to explore the game world, searching for Pokémon that appear on screen (instead of lurking unseen in tall grass). To capture them, you use motion controls to ‘throw’ Poké Balls at them in a mode identical to that of Pokémon Go. Additional players can join in the game world by using their own Joy-Con, participating in exploring the overworld and entering battles cooperatively or competitively. 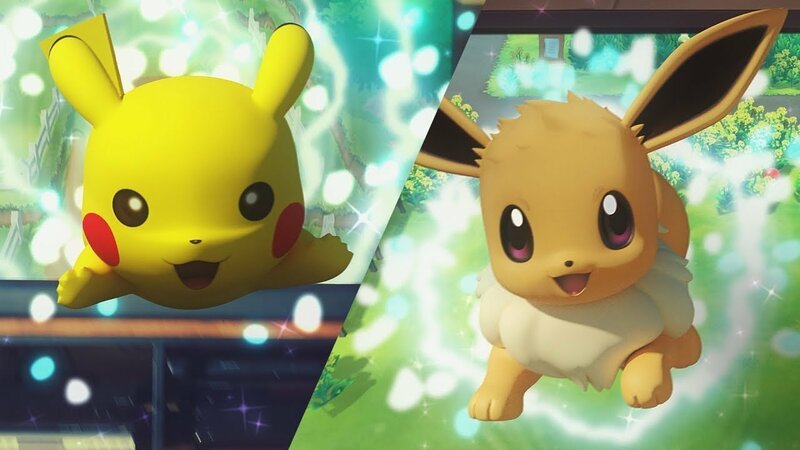 Let’s Go, Pikachu and Eevee will also interact with Pokémon Go, allowing you to transfer Pokémon captured in the mobile game to the Switch game. This will work only with Pokémon from the Kanto region (first generation), as Let’s Go, Pikachu and Eevee will be based on the original Game Boy games of 1998. The Poké Ball Plus, a new one-handed controller, is shaped like the iconic red-and-white Pokémon capturing sphere, with a single analog stick in the center. It will be compatible with both Let’s Go, Pikachu and Eevee and Pokémon Go (as a Pokémon Go Plus), and can be used to allow further interaction between the two games. Pokemon: Let’s Go, Pikachu and Eevee are set to launch for Nintendo Switch on November 16, 2018. The Poké Ball Plus controller is expected to be available for purchase on the same day.